Walking in the winter months alone can be difficult. As professional pet sitters, we have a great deal of experience on the topic. Here are seven ways to make it that much more enjoyable as a dog walker. Always make sure you are keeping an eye on both your pup and his surroundings. If he becomes too cold, he will usually start to shiver just like a person. Remember that means the same thing it does for you and that it is time to head to warmer areas. Also, make sure that you are aware of where you are walking and if the snow is too deep go around not through unless you know what is under it. If you have the means to buy Fido a sweater and a pair of boots then, by all means, do so. This is especially important if he is a smaller dog or has short hair. Remember the shorter the dog, the closer to the snow he or she will be traveling. 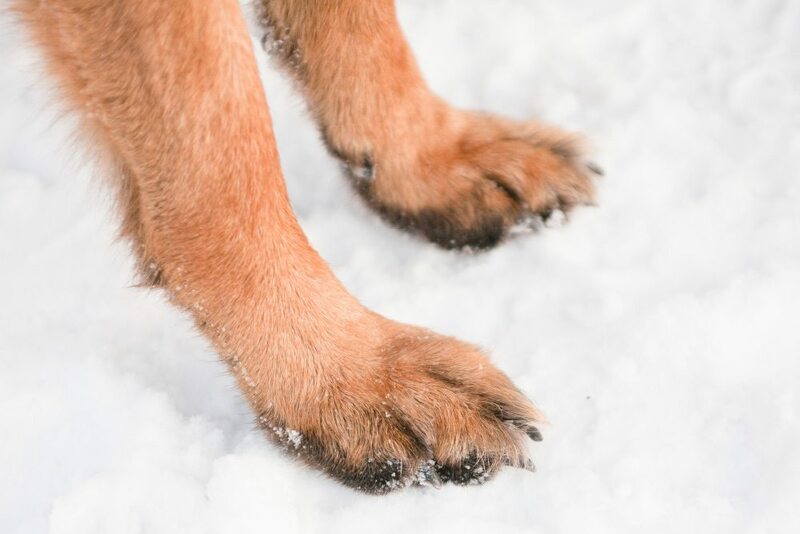 Snow boots make it easier for dogs to walk and they also protect their paws from the tundra under them. It is never a bad idea to keep their feet warm. This goes from stuff as harsh as antifreeze that maybe put down during the winter months where dogs can accidently swallow or even snow. If you wouldn’t eat it, don’t let your dog chow down on the snow. It can be dangerous, and you don’t know what is in the snow. If they start to eat it, pull their heads up and out of the snow and tell them no! The ice is one of the biggest dangers as you can slip, slide and break all kinds of body parts. The winter blues are bad enough without being stuck inside and especially for those who make a living doing it. Avoid the ice at all cost and if you wouldn’t walk across it don’t let your dog either. Those snowdrifts that covered half the yard may look wonderful, but they are very dangerous. There is no way of knowing what is under there. Take your dog somewhere familiar to run around instead of those tempting mountains. If you don’t know what is under there, stay away. As long as you are walking well-known areas, this shouldn’t be an issue but watch out for electric wires. Electric wires that are wet from snow can cause a current to harm your dog so make sure to stay away from anything that could be dangerous. Once you know your dog and you are safe, have as much fun as possible. Bring along a ball to a dog park and play a bit of catch. As long as you are in a safe dog area and don’t stay out too, long dogs love the snow. Maybe it’s time to love the snow along with your dog.